NATALIE is a dress with a slightly raised waistline that buttons down the back and has large pockets. 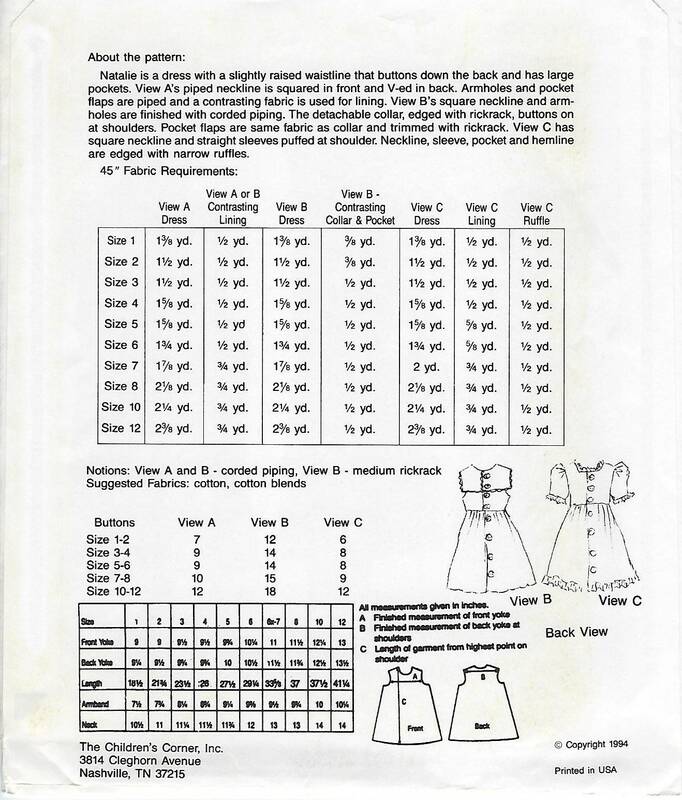 View A's piped neckline is squared in front and V-ed in back. Armoles and pocket flaps are piped and a contrasting fabric is used for lining. View B's square neckline and arm holes are finished with corded piping. The detachable collar, edge with rickrack, buttons on at shoulders. Pocket flaps are same fabric as collar and trimmed with rickrack. 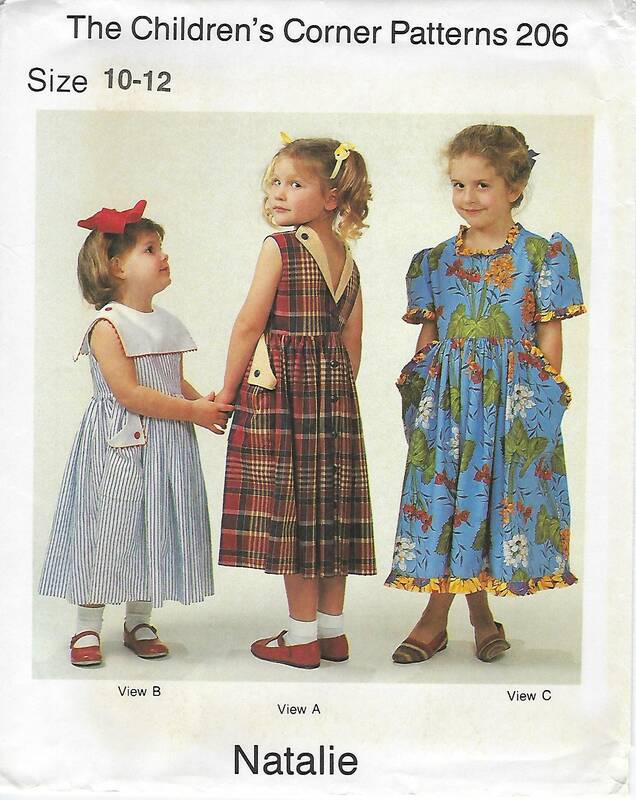 View C has square neckline and straight sleeves puffed at shoulder. Neckline sleeve, pocket and hemline are edged with narrow ruffles. Children’s Corner Patterns are classic timeless designs.